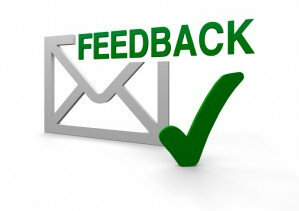 We’d like to know about your experience at GPL Self Storage. Review us and let us know what you think. Do you like your locker being inside? Do you like our drive-in feature? We’ll act on the negative and brag about the positive. Click the button to leave a review. Joe, thank you so much for your kind words. That's what makes it all worthwhile. My husband & I had a storage unit @ thePeterborough location for almost a year. The rate was reasonable & as seniors we were pleased to receive a senior discount. Right from the beginning the staff were most helpful & friendly. Every time we were at the facility, no matter who was on duty that day, the service was always friendly & welcoming. They even brought to our attention an error made on the billing & fixed it right then for us & stating accounting would know how to adjust the accounts so we would not be inconvenienced. The customer service we had at this facility was probably the best Canadian customer service experience we have ever had & we were sorry to leave. I did communicate our thanks to the staff who were there.when we checked out, a process they made easy, but I told them I would write this review so everyone would know how great their service was & how much we appreciated being treated like our business was important. We appreciate you taking the time to leave a review for our business! We’re consistently looking for ways to improve and your review will help us to enhance our services for all of our customers. We look forward to reading anything positive you have to say about our company and we will address any suggestions you have for improvements. I have rented a locker for well over a year there and from the beginning found the staff very helpful, friendly & courteous. The facility is very clean and well set up. Until recently I lived out of province (in BC) and had boxes delivered to the facility and the staff helped facilitate that for me. Special thanks to Raine. convenient hours, clean indoor facility and helpful staff. I would recommend GPL. No issues whatsoever with GPL Peterborough. The ladies there are extremely helpful and kind. I highly recommend GPL. GPL IS A GREAT ASSET TO CANADA!!! My experience after storing things in various size units at GPL could not have been better. They went the extra mile when I was out of the country by moving things from one unit to another size unit... and gladly! Terrific attitude. I never once worried about a thing. It is climate controlled, clean, safe, secure; everything is above average. There is no better facility than GPL to store your things! Highly recommended due to placing customer satisfaction first, and they DO go the extra mile. Awesome staff. Kinda makes you feel like home when you walk in. THANK Y'ALL!!! Great place, but need better hours. An excellent facility and a fiendly, helpful staff. I know my belongings are safe at GPL. The only issue I have is the hours that they're open. It's very difficult sometimes to get to my locker because of the limited hours. I even try to refer people to GPL but when I tell them the hours it usually turns them to another facility. Love this facility. It's clean, reasonable, easy access, organized, great staff always willing and helpful. Love the drive-in feature. Love that its temperature controlled . My only concern would be that my particular unit is directly under a heating vent and the contents get pretty hot when the heat is on. I have not as yet consulted with the staff about this but will if it continues to be a concern. Would definitely recommend GPL Storage to anyone. Great place to do business. Just wish there was a little more accessibility as far as hours of operation. Other than that.they cant b beat.THANK-YOU. The BEST storage unit in Peterborough! I was immediately impressed by the central indoor entrance for all of the storage units. Not only are my belongings protected by a wonderful and accommodating staff, but the consistency in temperature, throughout the year, within the building is an added plus! The whole premises is kept clean and is well maintained making it clear that GPL Self Storage is a company that takes pride in their work, Their personability and attention to detail speak of old-fashioned values that I really appreciate! Amazing placing to store your belongings. It's secure, clean and heated/cooled. I've been here for about 3 years and have had no issues with gpl storage at all. The employees are also very helpful and nice...especially when you forget where exactly your storage unit is. Great place to keep your stuff with clean place and friendly staff. We love the drive-in feature for our indoor locker. The facility is clean, staff is friendly and efficient and the location in Peterborough is very convenient. Great value for the high level of product they offer. On behalf of GPL Self Storage, we would like to apologize for the mistake that occurred when you transferred unit sizes. We were very upset to learn that one of our valued customers was so dissatisfied with our level of service, as we have built this business on word of mouth and trust. We have done our best to accommodate you by transferring units and switching payment dates multiple times. These are uncommon transactions for us, and unfortunately we made an error when switching to the new payment date you had requested. Once we were made aware of the incorrect due date, it was corrected immediately with no additional charges applied to your account. Thank you for bringing this matter to our attention as it has given us the opportunity to improve our transfer process. We are very appreciative of your business over the last eight months and we hope that you enjoy the remainder of your time at GPL Self Storage. Excellent place, friendly staff and spotless. Facility was clean and well organized, staff were very helpful and good-natured. Got free entertainment from watching a guy try to get his giant cube truck around a corner that was clearly too tight.